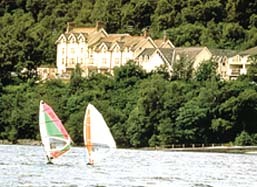 Macdonald Loch Rannoch Hotel and Resort. Kinloch Rannoch, Pitlochry PH16 5PS, Scotland. This former Victorian shooting lodge is situated deep in the Perthshire Highlands overlooking Loch Rannoch with views of the spectacular mountain of Schiehallion. The bedrooms are well appointed, many with excellent views. Leisure facilities include an indoor swimming pool, squash, snooker and sailing. Find the best deal, compare prices and read what other travelers have to say at TripAdvisor. Dunalastair Hotel, The Square, Kinloch Rannoch, Pitlochry PH16 5PW, Scotland. Find the best deal, compare prices and read what other travelers have to say at TripAdvisor. Moor of Rannoch Hotel, Rannoch Station, Perthshire, PH17 2QA, Scotland. Find the best deal, compare prices and read what other travelers have to say at TripAdvisor.